We had a guest coming to spend the night and I was told they really liked peanut butter. Yea! See, Mr. Fix it does not like peanut butter so I never get the chance to make any thing with peanut butter. I wanted to make an ole fashioned peanut butter pie. 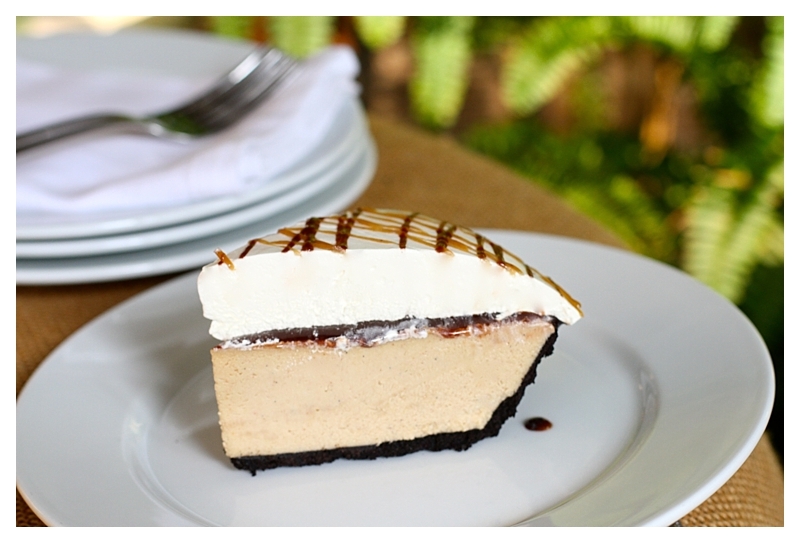 This is an ole version of the cream cheese peanut butter pie. 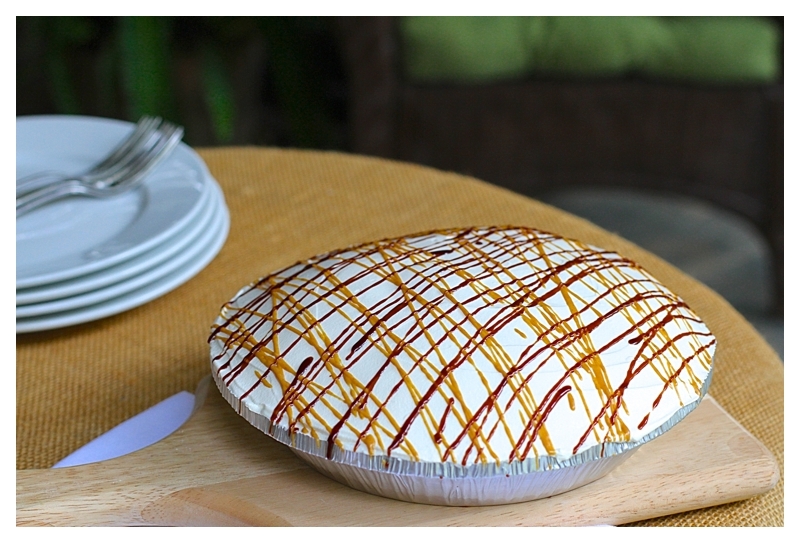 It is light and creamy, great choice for a dessert. I hope you enjoy it as much as we did. Guess what Mr. Fixit even ate a piece of the peanut butter pie. He said pretty good for peanut butter…light creamy and purdy tasty! Enjoy! Beat together 1 1/4 cup peanut butter, cream cheese, vanilla paste and sugar in large bowl with an electric mixer on medium, until well combined. Gently mix in 1 container of whipped topping until thoroughly combined. Spoon mixture into pie shell. Using an offset spatula, smooth mixture to edges of pie. Rederve 3 tablespoons of hot fudge topping into a squeeze bottle; set aside. Microwave remaining topping on HIGH for 1 minute. Stir. Spread topping over pie, covering entire peanut butter layer. Should use one half of container. Refrigerate until set. Spread remaining container of whipped topping, over hot fudge layer, being careful not to mix the two layers. Place many spoonfuls of the whip topping all over then spread, this makes it easier to cover and not mix them together. Use a squeeze bottle to drizzle fudge topping over pie. Place remaining 2 tablespoons peanut butter in another squeeze bottle and squeeze to drizzle in opposite direction from fudge. Refrigerate until ready to slice and serve. Vanilla Paste Product ~ I purchase this at many different stores. I have found it at Whole Foods, William Sonoma,Fresh Market and Trader Joe’s. This is a wonderful product and think it is far better than regular vanilla. It is a little thicker and filled with vanilla beans. You can see the vanilla beans in your end product. Wonderful stuff…If you do not want to invest in the additional product use vanilla extract in it’s place. Thanks! i like , how to make desseret. Do you have a recipe for “school fudge”. When I was in school and in band we would sell choc. fudge for a fundraiser. It was just called school fudge. Have you ever heard of it? What is vanilla paste? and where would I get it? Teresa…I put the info about the vanilla paste above. I hope this answers you questions. If you do not want to but this product just use regular vanilla. But, if you do I promise you will love this stuff ~ I found this at Fresh Market even cheaper ….7.50 a bottle GREAT stuff! This looks so delicious, I cannot wait to try it!!! Can’t wait to try the peanut butter pie recipe. Looking forward to more of your recipes. I have found a lot of recipes of food I ate growing up but didn’t know how to make. I was born and raised in New Orleans and the surrounding area and I have found your recipes to be authentically Southern! Thanks…what a complement to a southern girl! I hope you enjoy the site and will try make one of the dishes. Have a lovely day. Being from the south myself I love anything peanuts, especially peanut butter. I have searched for a good Peanut Butter Pie recipe and this looks so yummy and easy I can not wait to try it. Will let you know how it turns out. Thanks for posting. 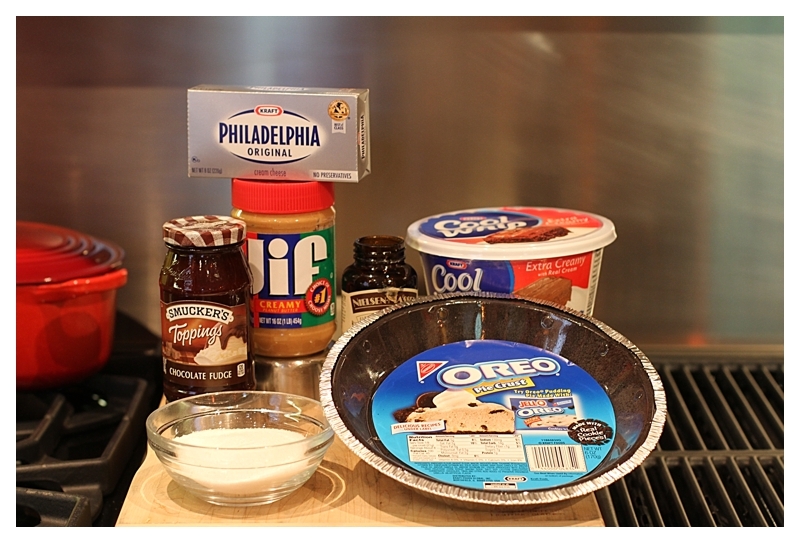 Love the peanut butter pie I plan to make it . Love all the recipes on your website. Wanda and Margaret….thanks! Wishing you both a wonderful 4th!! Would enjoy getting your post. Looking forward to making the Peanut Butter pie. I love your recipes, but it takes me time to write them down. It would be great if you could include a printer friendly version of your recipes so I could just print them and done.